Hey guys, happy Tuesday! I'm getting ready to head off to the zoo with my niece and nephew and I'm kind of ridiculously excited. Anyway, on to the post! I absolutely adore this, because it's just so true! Lately I've been spending a great deal of time editing my finished manuscripts (which I hope to write about in a more detailed post soon), and it's amazing what a difference your view on your work can make. Thanks to my creative writing class this past semester, I spent a little over six weeks reviewing and critiquing the writing of my classmates. This practice allowed me to learn how to read as an editor rather than a writer. So when I went back to my finished manuscripts and took a look at them, I immediately saw mistakes that I never caught before. I found grammar errors, unnecessary dialogue tags, bad sentences, and I realized that one of my characters was really, really flat. I never noticed all of that stuff before. Why? Because I was reading my writing as the writer instead of a reader. When someone reads your story for the first time, they aren't going to know your characters like you do. They aren't going to know every detail about the midpoint twist or the ending until they actually get there, whereas you know every inch of the story's plot. So while you may read a passage of your writing that sounds absolutely wonderful in your head, it could potentially sound really bad in the heads of the readers. It's all about perspective, and the more you are able to edit from the perspective of a reader rather than a writer, the better your story will be. 1. Read a lot. Read books that are published. Read books that aren't publish. Read beautifully long novels and super short stories. Honestly, it doesn't matter. The more you read, the better a reader you become. 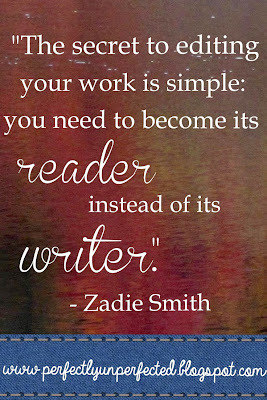 And the better a reader you are, the easier it is to read your own writing from the perspective of a reader instead of a writer. 2. Edit slowly. If you're like me and hate editing, then you might feel a lot of temptation to read through your drafts quickly in order to finish faster. Don't! Reading and editing your work slowly and thinking about each sentence is a great way to catch mistakes that you might not have caught otherwise. It also really allows you to see what your characters are saying or doing and decide whether or not the story is flowing. 3. Practice. Edit a friend's story. Put yourself out there and be a critique partner. Find some of your old writing and edit it. Whatever you do, subjecting yourself to editing a work that isn't your current project is a great way to get a new perspective. I never thought that critiquing and editing my classmates' writing would have such a big effect on how I view my writing, but it really does! After all, practice makes perfect. It might take you a while to really learn how to effectively read through your work as a reader rather than a writer. But once you get there, you'll learn things about yourself and your writing that you never knew before. 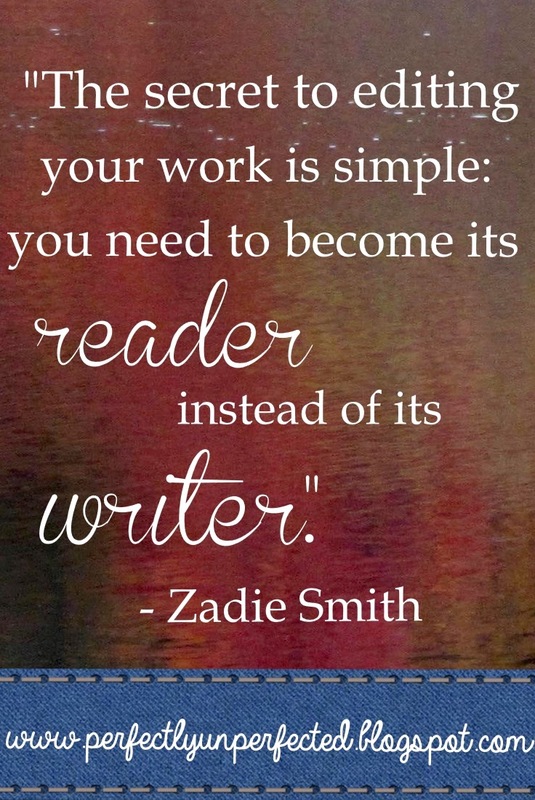 And in the end, you'll be able to polish your manuscript until it absolutely shines. I totally agree with the points you mentioned, especially #3. Practice makes perfect. It also helps you learn how to edit.